The BioSuite ™ is the latest version of the Suncombe BioWaste Effluent Treatment Systems automation system that has been developed over the last 10 years. Incorporating the most efficient technological equipment, which has been proven to be robust and reliable, the BioSuite ™ automation systems ensure that your critical BioWaste processes are operating. Our first automation systems were supplied in the 1960's and the current systems have been developed with this 50 years + of experience. 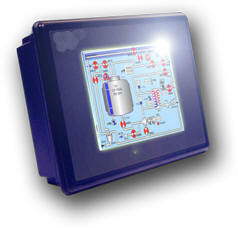 Designed to GAMP guidelines, the BioSuite ™ systems are produced in house by qualified electrical designers and software engineers, in a manner encompassing software development standards (including TickIT, GAMP and IEE guidelines), quality control systems, change control during and post development and development to a software life cycle. Incorporating a versatile, efficient recipe control system, the CIPSuite™ allows for simple development of recipes to optimise the operation of the equipment. Available in different versions, from ControlSuite1000™ to ControlSuite4000™, they all incorporate the optimum control for BioWaste Effluent Treatment Systems automation. Reporting: Printed records or 21CFR11 electronic records and batch reports.